After publishing the Origin of Species (1859), Darwin spent the remainder of his life exploring the ramifications of his theory of evolution by descent with modification. 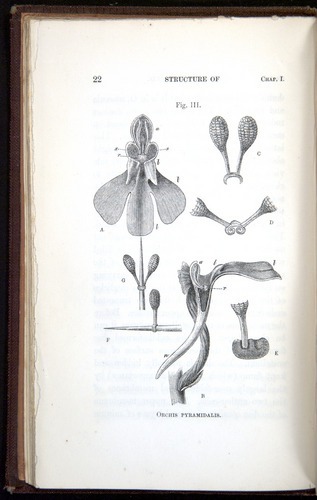 Darwin’s next work explored the immense degree of variation present in nature, using orchids as the prime example. 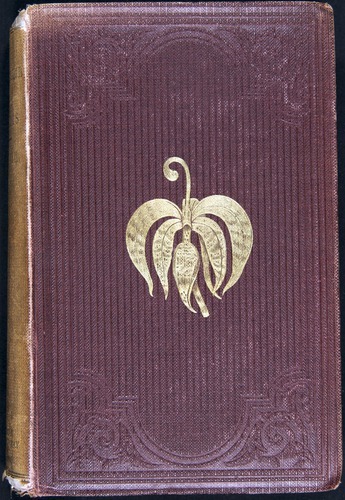 A beautiful gilt inlaid depiction of an orchid adorns the cover.